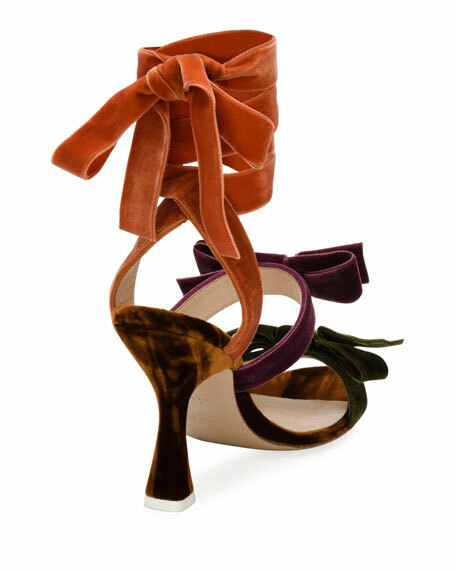 Multiple bows enriched with modern velvet tones on a strappy sandal: a unique must-piece to touchup any outfit. 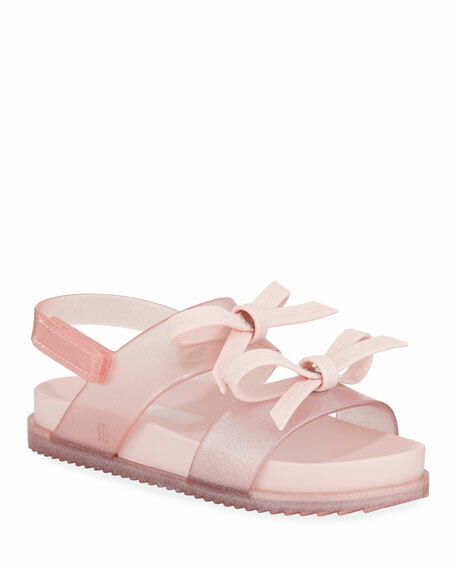 Attico "Diletta" colorblock velvet sandal with bows. For in-store inquiries, use sku #2273056. Alexandre Birman satin sandals with tonal stitching. 4" covered stiletto heel. Open toe. Bow detail along vamp. Back zip eases dress. Padded footbed. Smooth outsole. "Fetish" is imported. 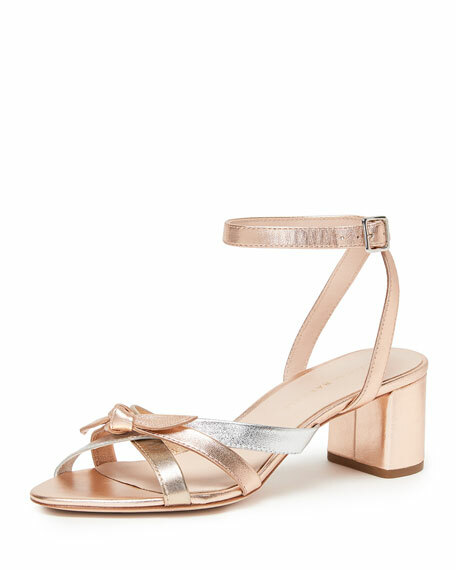 Loeffler Randall "Anny" sandal in metallic leather features delicate straps, offset by sturdy heel. 1.8" covered block heel. Crisscross vamp with knotted bow. Adjustable ankle-wrap strap. Leather lining and sole. Made in Brazil. 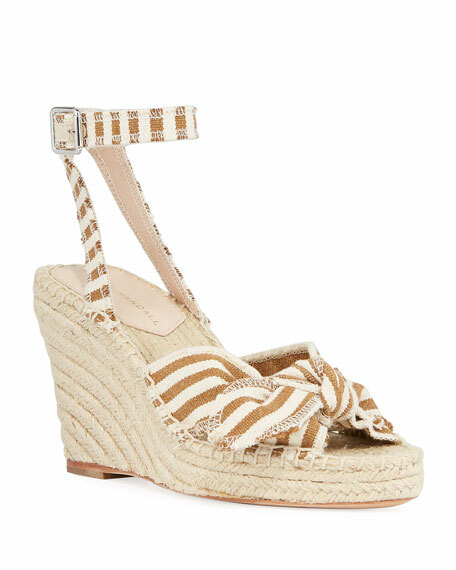 Loeffler Randall "Tessa" espadrille sandal in striped canvas. 3" braided jute wedge heel and platform. Two-strap vamp with knotted bow. Adjustable ankle-wrap strap. Leather lining and sole. Manmade heel tap.